Fifty years ago, Rudolph R. Perz, the creative director of the Leo Burnett ad agency in Chicago, was under pressure to come up with a new lovable new mascot for the Pillsbury account. Sitting at his kitchen table and staring at a Pillsbury Crescent Rolls can, Perz wracked his brain for an idea. Suddenly, he imagined a doughy white character jumping out of the can. Perz described him to Martin Nodell, an artist at the agency, who sketched the little spokesman. The joyful dough boy had big blue eyes, a chef’s hat, a sassy bandana, and blushed when he was kissed. His name was Poppin’ Fresh. Once the character was fully baked… err, formed… Poppin’ Fresh became one of the food company’s best known mascots, an ever-helpful and very ticklish character known as the Pillsbury Doughboy. Although Perz originally intended the Pillsbury Doughboy to be animated, he changed his mind after seeing a stop motion clay technique on television. Designer Milt Schaffer then brought the baking icon to life at a cost of $16,000, The Washington Post reported. The Pillsbury Doughboy has been created using CGI technology since 1992. Veteran cartoon voice actor Paul Frees served as the Pillsbury Doughboy’s voice until his death in 1986. Since then, the character’s voice has been provided by Jeff Bergman and JoBe Cerny. The Pillsbury Doughboy appeared in more than 600 commercials from 1965 to 2004, and returned to the small screen in 2009, 2011 and 2014. He hawked dozens of freshly baked biscuits and cinnamon rolls, breads and cookies, and charmed viewers with his signature giggle (a sweet “Hoo Hoo” or “Hee Hee” that emitted whenever someone playfully poked his middle). Yet the Pillsbury Doughboy was more than just an advertising spokesman. He was beloved by millions who grew up in the 20th century. According to General Mills, parent company of Pillsbury, the Doughboy received 200 fan letters a week and hundreds of requests for autographed photos. During the 1970s, “Pillsbury Playthings” — doll-versions of the Doughboy and his “family” — were some of the fastest selling toys in the U.S.
As for the mastermind behind him, Perz was born in 1925. The Glenview, Ill., resident and advertising copywriter was married to the late Lois Wagberg Perz, and had three children and six grandchildren. Next month, Perz was to have been honored for his doughy creation at the Museum of Broadcast Communications in Chicago. The exhibit, “A Salute To Advertising’s Greatest Icons,” will also feature Tony the Tiger, the Jolly Green Giant, Morris the cat, Mr. Clean and Ronald McDonald. Perz died on April 1. Cause of death was not released. He was 89. –Originally published in The Huffington Post. Misao Okawa, a Japanese woman who was recognized by Guinness World Records as the world’s oldest person, died on Wednesday of heart failure. She was 117. Okawa was born in a kimono shop on March 5, 1898. That was the year the U.S. annexed the Hawaiian islands, the first car sold in America and a new soft drink called Pepsi-Cola launched. Okawa married Yukio Okawa in 1919 and they remained together until his death in 1931. She never remarried. Okawa bore three children, two of whom are still alive in their 90s, and had four grandchildren and six great-grandchildren. When asked for the secret of her longevity, Okawa once said it was to “watch out for one’s health.” She also credited a healthy appetite — she loved eating mackerel sushi — and getting plenty of sleep. The Japanese supercentenarian was recognized by Guinness World Records as the world’s oldest person in 2013 when Jiroemon Kimura, also from Japan, died at the age of 116 years and 54 days. Okawa was also the fifth oldest verified person ever recorded and the last living Japanese person to have been born in the 1800s. The world’s oldest person is now Gertrude Weaver, of Arkansas, who will turn 117 on July 4. Olympic gold medalist Camille Muffat was killed on March 9 in a helicopter crash while filming a reality TV show in Argentina. She was 25. The versatile French swimmer first hit the pool when she was just 7 years old. By the time she was 12, Muffat was training under Fabrice Pellerin, head coach of Olympic Nice Natation, a top training facility for champion swimmers. Although she became accomplished at the breaststroke, Muffat’s speciality was the front crawl, which she used to win a gold medal in the women’s 400 freestyle — and set a new Olympic record in the process — at the 2012 London Olympics. Muffat also took home the silver medal in the women’s 200 meter freestyle, and a bronze medal as a member of the women’s 4×200 freestyle relay. Muffat was the former world record holder in the 400 and 800 SCM freestyle, Swim Swam reported. In 2012, she was named the French Sportswoman of the Year. When asked about life outside of the pool, Muffat told Le Monde that she enjoyed playing with her Persian cat Lulu and English bulldog Brioche, going shopping, doing puzzles and spending time with her friends and family. At the time of her death, Muffat was a cast member on the French reality TV show “Dropped,” in which two teams of celebrities are left in separate remote locations and challenged to be the first to return to civilization. During filming on Monday, Muffat was killed when the helicopter she was on collided in mid-air with another in La Rioja province, BBC reported. Olympic boxer Alexis Vastine, a bronze medal winner for France at the 2008 Games in Beijing, champion sailor Florence Arthaud, who won the Route du Rhum in 1990, five members of the show’s production staff and two Argentine pilots also perished in the crash. From London to Los Angeles, the sight of a shapely bottle sitting on a table at a Japanese restaurant signals the promise of a fresh meal seasoned by the salty sauce of soy. You may never have given this condiment container much thought; for decades it has always been there, waiting for you to reach out and use on your platter of sushi. But the ubiquitous red-topped glass container with its dripless polystyrene spout didn’t exist before 1961. 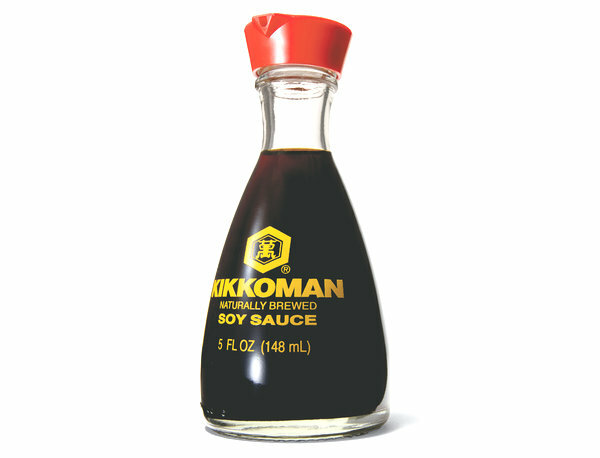 It came from the mind of Kenji Ekuan and his team, and was created for the Kikkoman Corporation. According to a 2012 article in The New York Times, the iconic tear-shaped bottle has been in continuous production ever since. To date, more than 300 million dispensers have been sold worldwide. Ekuan’s soy sauce dispenser has even been recognized as a work of art. In the mid-oughts, the bottle was added to the permanent collection at the Museum of Modern Art in New York as part of its Humble Masterpieces exhibition, which honors the design of everyday objects. Ekuan graduated from Tokyo University of Fine Arts and Music and the Art Center College of Design in Pasadena, Calif. He became an industrial designer, a maker of the things we use every day (and often can’t imagine life without). Ekuan founded GK Industrial Design Associates in 1957, which later became the GK Design Group. Today GK Design comprises eight domestic and four international firms providing product, transportation, environmental and communication design. Over the course of his illustrious six-decade career, Ekuan designed the distinctive Akita bullet train and motorcycles for Yamaha. Considered Japan’s foremost industrial designer, Ekuan was also the author of “The Aesthetics of the Japanese Lunchbox” and several other books. For his contributions, Ekuan received many honors, including the ICSID Colin King Grand Prix, the International Design Award, The Blue Ribbon Medal, the Sir Misha Black Medal and the Order of the Rising Sun. Ekuan died on Feb. 8 of a heart rhythm disorder, Kyodo reported. He was 85.